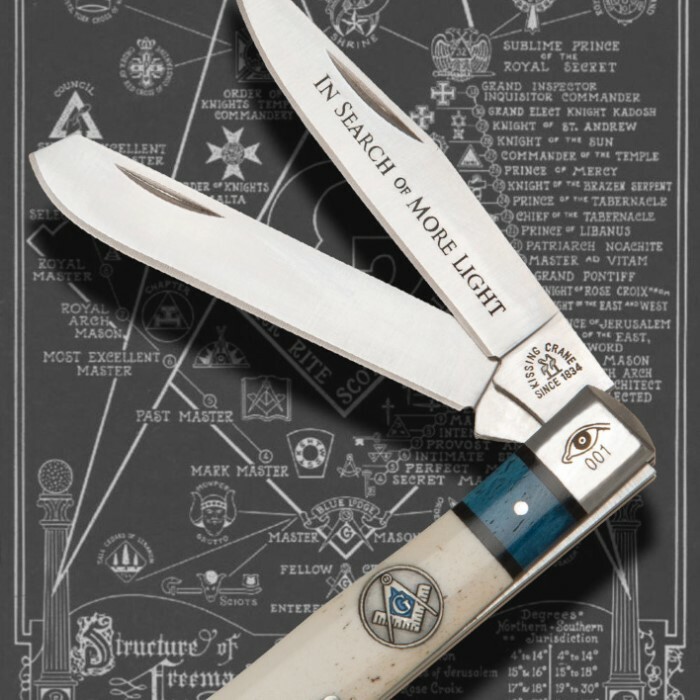 This Masonic "In search of more light" trapper knife is the perfect addition to your Freemason collection! This pocket knife offers stainless steel blades, genuine blue and white bone handles and stainless steel pins and bolsters. 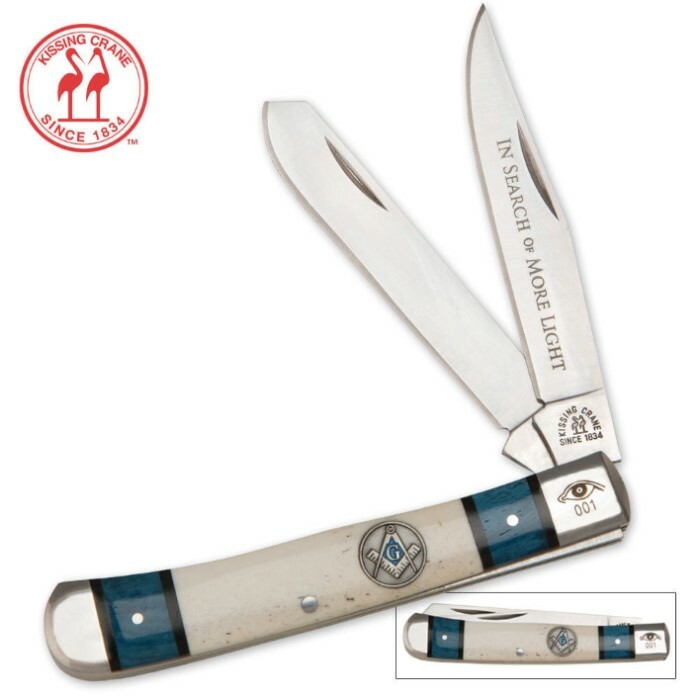 Each knife features a Masonic shield and an eye etched onto the bolster. Each knife is laser serialized in this limited edition production. 4 1/8 in. closed. this knife was a gift for my parents anniversary. it is a good choice for a versitile pocket knife my dad loves it. and so do i.